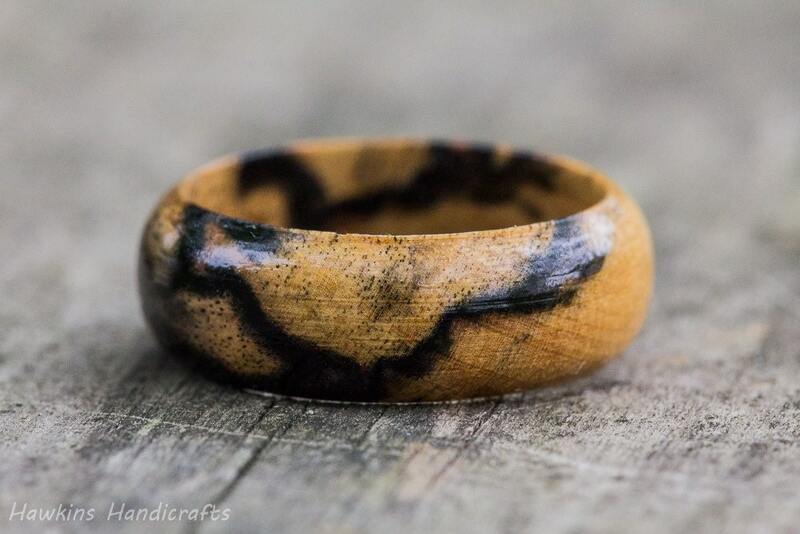 This is a hand-turned black and white (pale moon) ebony wood ring custom made to your specifications - choose the size, width, and shape from the options to create your own handmade ring! 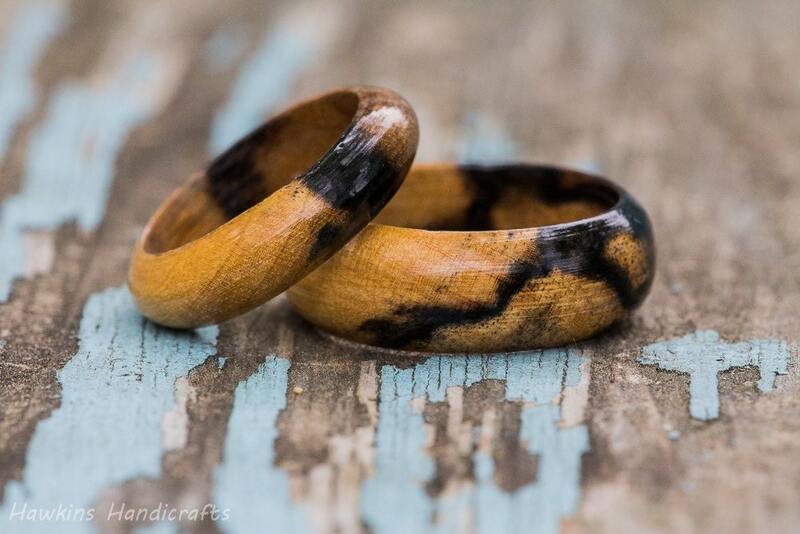 Your ring will have a similar look to those in the pictures, dark black streaks through white wood with fine grain - but each ring is a unique piece of wood with it's own unique patterning with no two exactly alike! 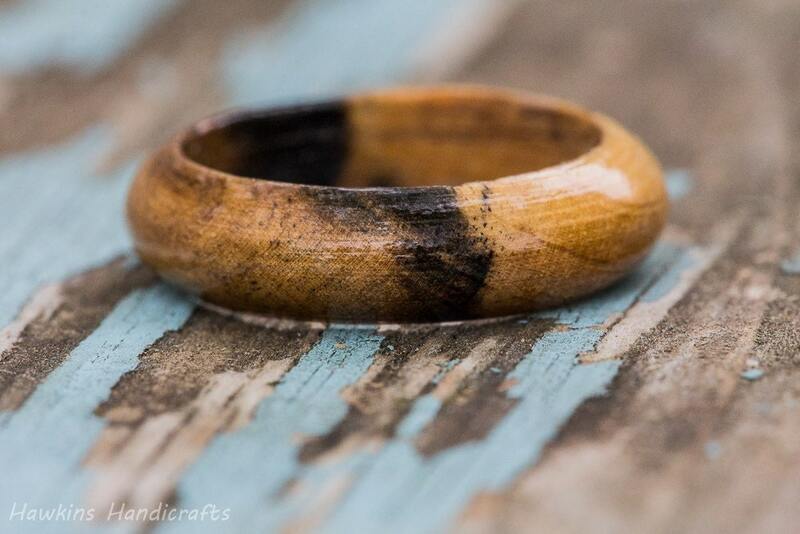 Black and white ebony is one of the most striking woods available to woodworkers, with beautiful bright white wood streaked by dark black marks. 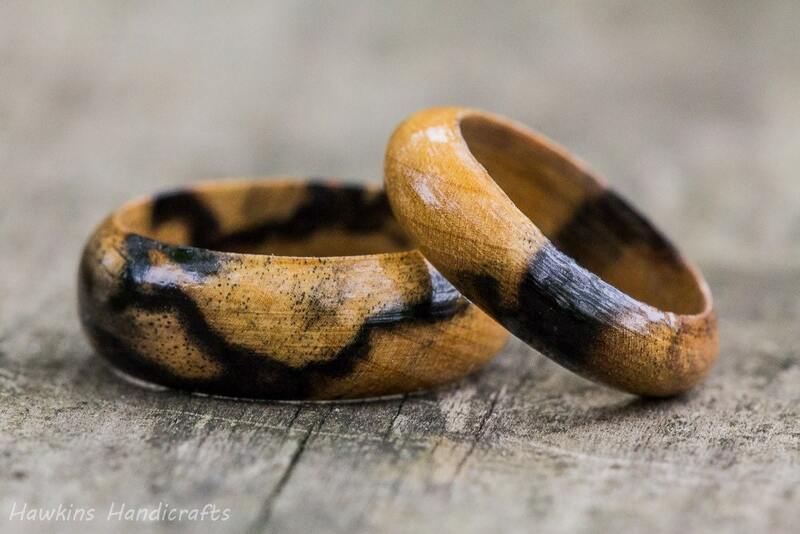 This species of ebony shares many of the same characteristics of its more popular solid black cousin, Gaboon ebony - both are fine-grained and hard, which makes them one of the best choices for solid wood rings! My fiancé loves this ring. 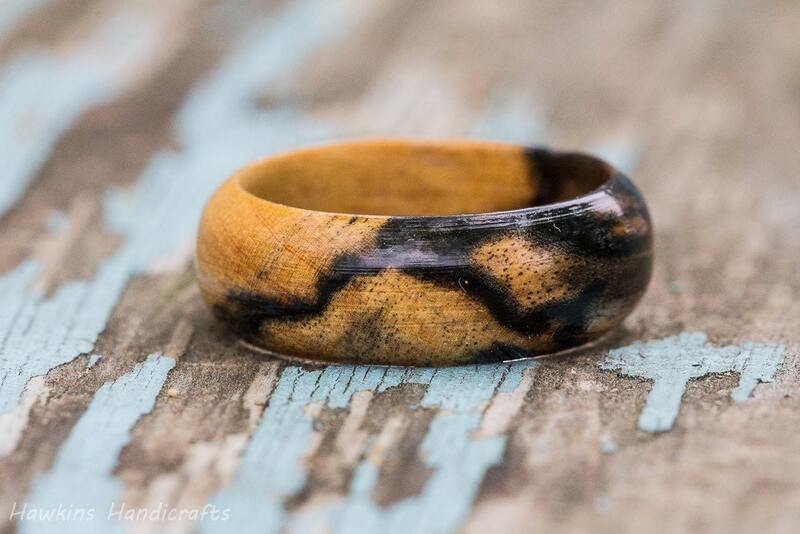 It’s so unique, and it’s a great alternative to a traditional wedding band. My husband loves this ring. It is very beautifully made! Lightweight and beautiful! Thank you!